Hearty, beefy Salisbury steak meatballs smothered in brown gravy, served a bed of cauliflower mash or a side of creamy mashed potatoes. Are you drooling yet? Do I have your attention? 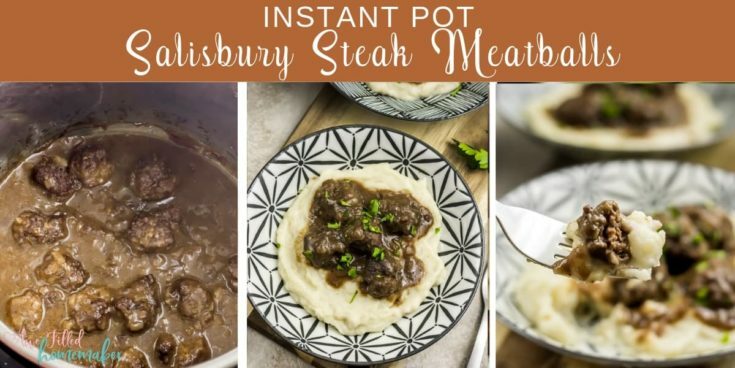 What if I said that you could make this in your Instant Pot? 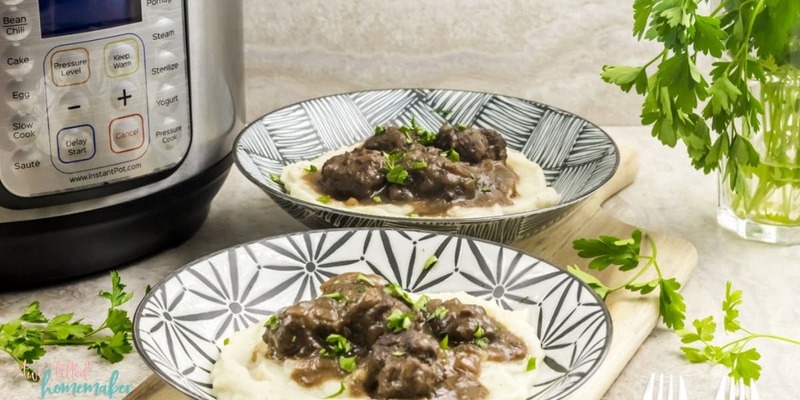 Regardless how you choose to serve these Instant Pot Salisbury Steak Meatballs, find comfort in know these delicacies are gluten-free, soy free and pleasing to the palate. 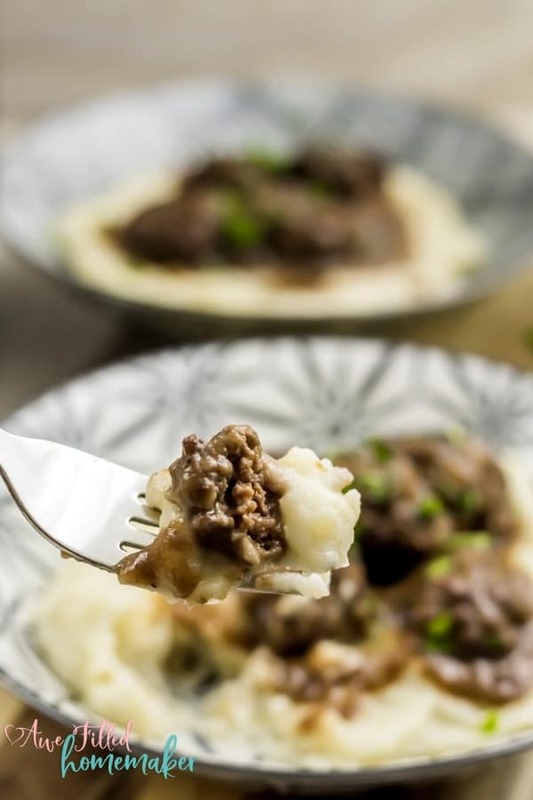 One of our favorite comfort foods is Salisbury steak. 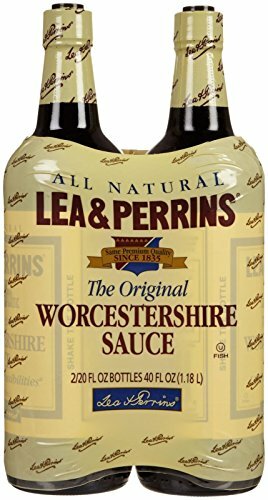 Just thinking about the flavorful, tender, juicy beef smothered in brown gravy instantly floods my mind with memories of my childhood. Now that I am grown and in charge of dinner, I’m sharing a little piece of my childhood with my kids. I altered my original recipe Salisbury steak recipe just a bit. My original recipe was your typical slab of beef about the size of my hand. One day, my meatball loving son asked me, “Mommy, when are you gonna make meatballs again?” That’s when it hit me. 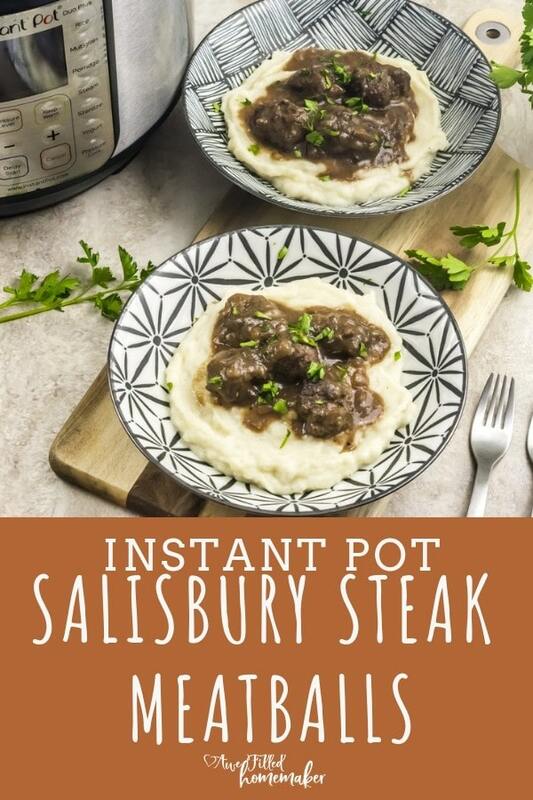 Why not alter this recipe and create little bite-size Salisbury steaks meatballs?! My youngest son and my husband love these meatballs paired with homemade mashed potatoes. 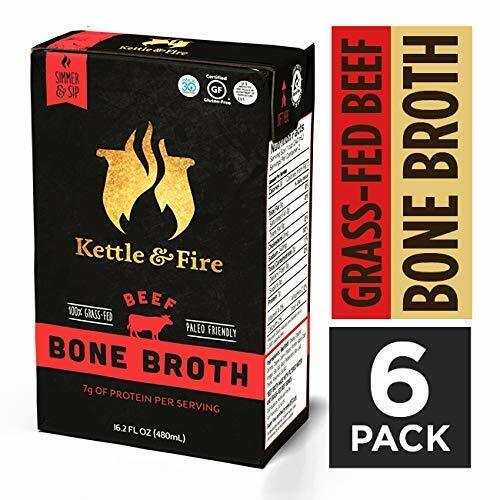 I prefer them on a bed of cauliflower mash for a lower carb alternative. Speaking of meatballs, don’t forget about my classic spaghetti and meatballs if Salisbury steak isn’t your thing. I have made a lot of meatballs over the years. I’m not claiming to be a master meatballer (I just made that up), but I wanted to share some tips I learned along the way. Hopefully, these tips will keep you from making the same mistakes I made. 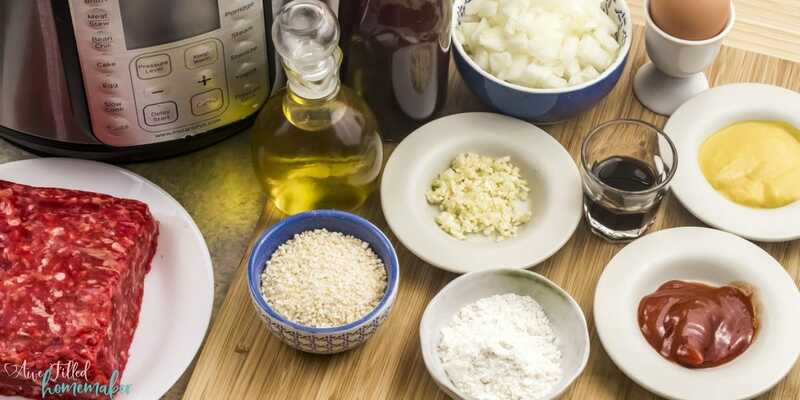 Meat Mixture | The key to meatballs is not to over mix. If you get too rough with the meat mixture, the result will be a tough and chewy meatball. 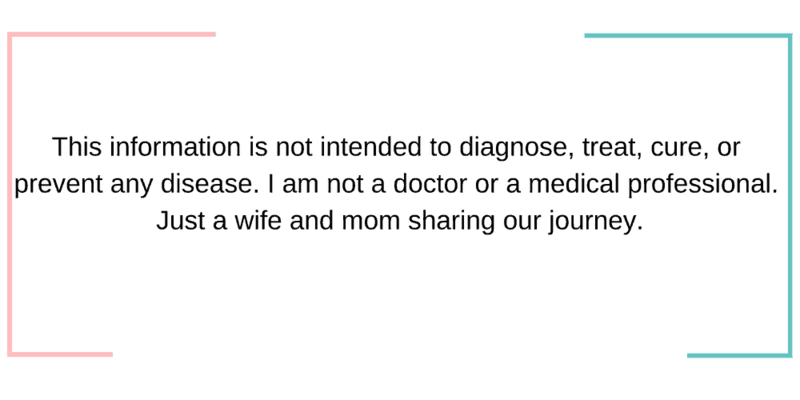 Instead, use a light hand when mixing and incorporate ingredients evenly without being too rough. Scoop | The scoop is extremely important. This small utensil can make or break a meatball. The scoop I use ensures my meatballs are even in size. Meatballs of varied sizes will have an inconstancy in the cooking process. Some meatballs will be undercooked, some overcooked, while others might be perfect. Equal sizes are extremely important and the scoop you invest in helps to ensure the perfect meatball is served for dinner. 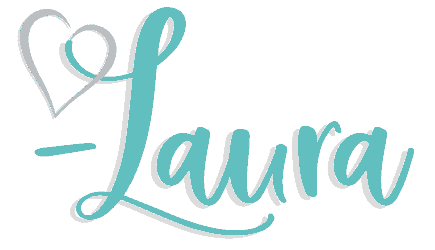 Lean Meat | For this recipe I use a leaner meat. The leaner the meat, the less the fat. The less the fat, the less the grease. My husband, especially, prefers very lean meat. Go light on the hands when mixing and make sure to measure your ingredients accurately. The bread crumbs allow the balls to hold their shape. Too much bread crumbs can result in the balls falling apart. Work with the meat to make sure it feels the right consistency. My husband and my boys, especially my youngest, prefer homemade mashed potatoes or served over a bed of egg noodles. Personally, I prefer the meatballs on a bed of cauliflower rice or cauliflower mash. The gravy blends nicely with each combination. Our family loves a good steamed or roasted vegetable. I’ve served broccoli, green beans and vegetable medley in the past. I recommend sticking with vegetables your family prefers. 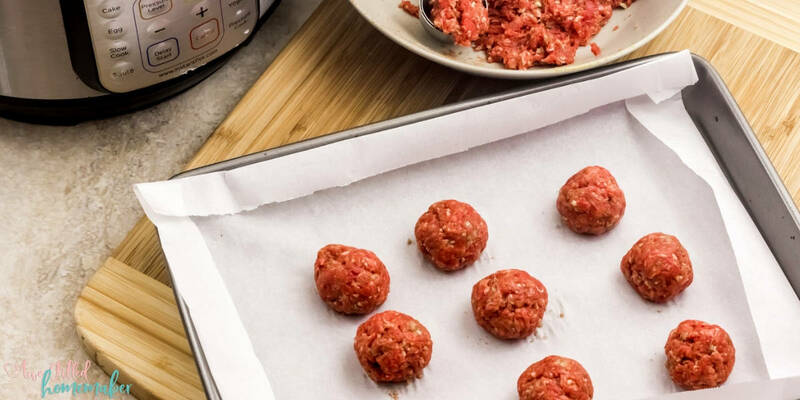 The Instant Pot is the perfect tool to use to get those juicy and tender meatballs that you are looking for. Adding the gravy upgrades the flavor even more. 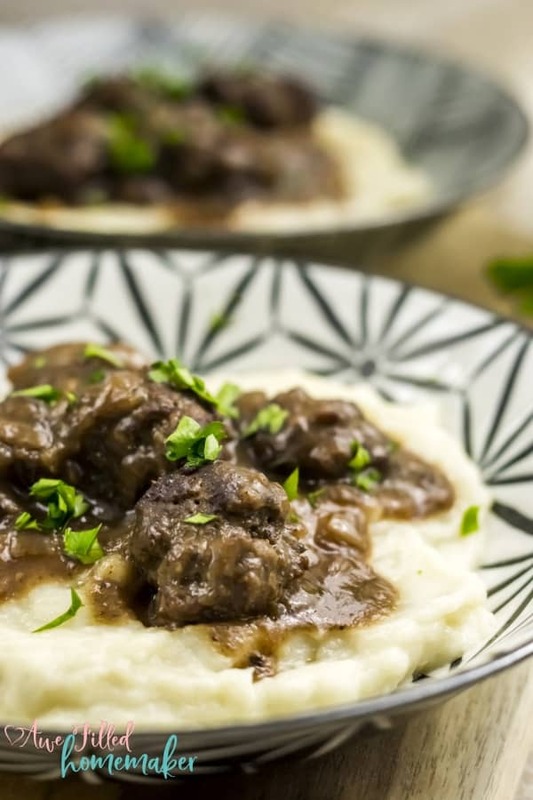 Best of all, these gluten-free and soy free Salisbury steak meatballs are a home run. 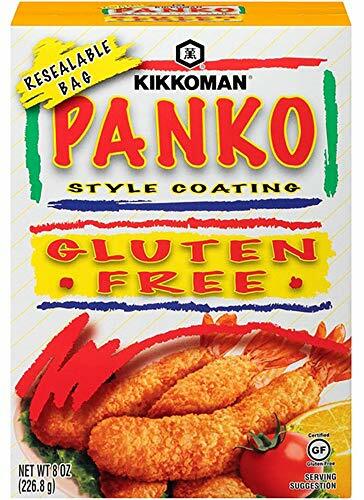 They’re great for dinner, get togethers, church gatherings, picnics and any event encouraging you to bring a finger food. 1) In a large bowl, combine the ground beef, Worcestershire sauce, ketchup, mustard, garlic, breadcrumbs, salt and pepper, and an egg. Mix well. 2) Using a cookie scoop, form equal sized meatballs. We got 24 meatballs. 3) Chill the meatballs in the fridge for 30 minutes. 4) Turn the Instant Pot on the “Sauté” mode and add two tablespoons of oil. 5) In batches of 6 to 8, lightly brown the meatballs on all sides. They need not be cooked through, just a light sear. 6) Remove the meatballs from the Instant Pot. 1) There must be sufficient oil in the Instant Pot to cook the onions. 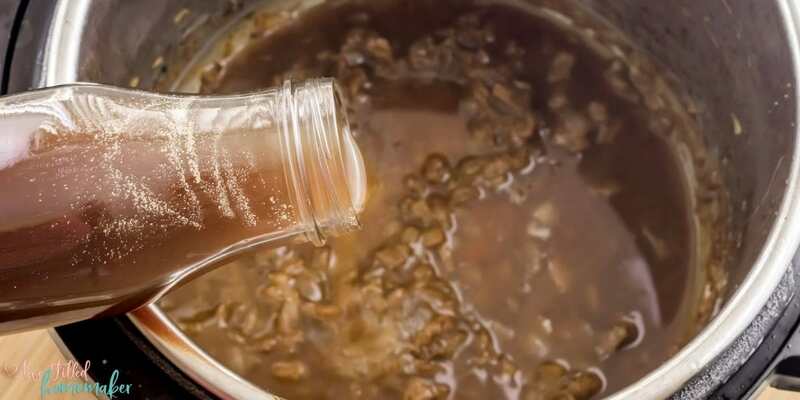 In case there is less, add about a teaspoon of oil or butter to the Instant Pot. 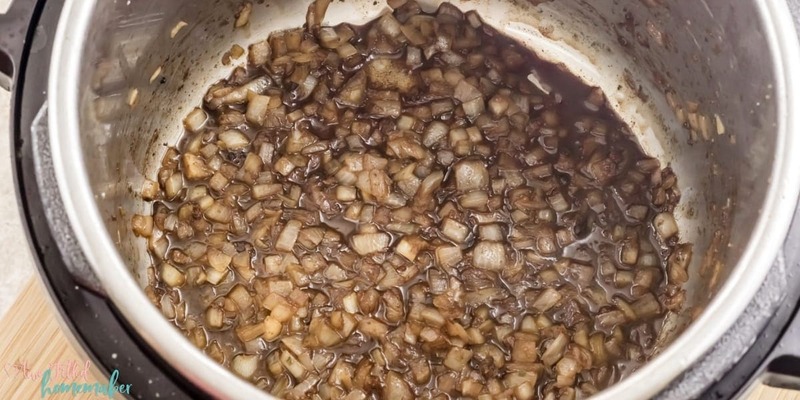 2) Add the onions and let it brown for a minute or two. 3) Now add the Worcestershire sauce to deglaze the pan. 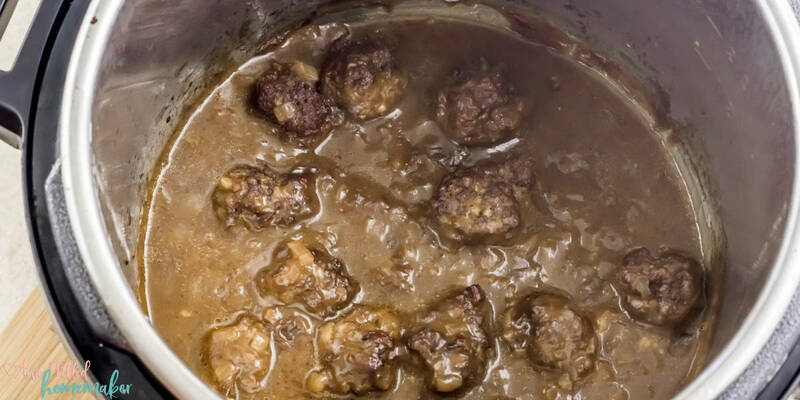 Scrape the browned bits of meatballs stuck in the Instant Pot. 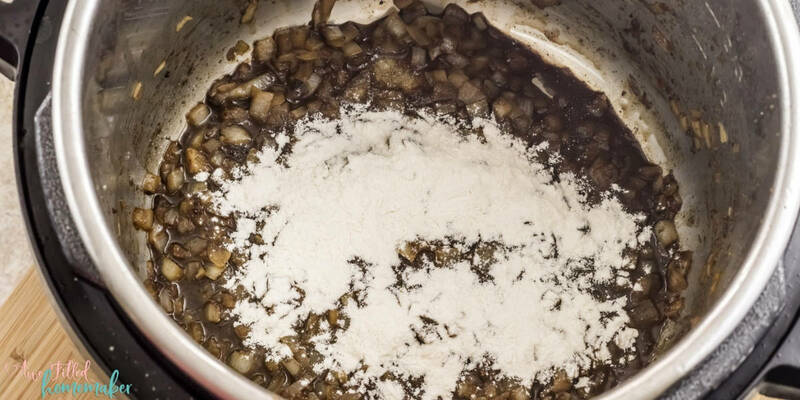 4) Add the flour and let it cook with the onions for a minute. 5) Add the beef broth and mix it well with a wire whisk. There should not be any lumps of flour. 6) Add the browned meatballs in a single layer. 7) Turn off “Sauté” mode. Attach the lid, ensuring the pressure valve is in the “Sealing” position. 8) Select the “Pressure Cook” mode and adjust the time with the “- / +” to 10 minutes. 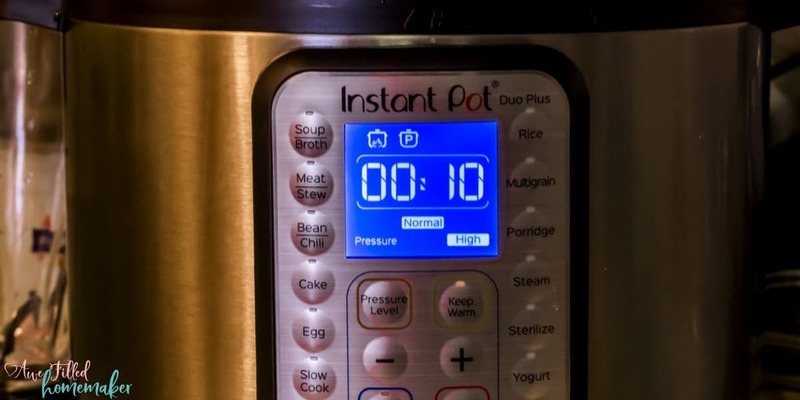 9) When Instant Pot beeps, allow the pressure to release the naturally for 10 minutes and then turn the pressure valve to the “Venting” position to perform a quick release. 10) Open the lid. If the gravy is still very thin, turn the Instant Pot back onto the “Sauté” mode and let it simmer for 3 to 4 minutes, or till the gravy thickens a bit. 11) Garnish with chopped fresh parsley. 12) Serve hot with creamy mashed potatoes. There you have it! 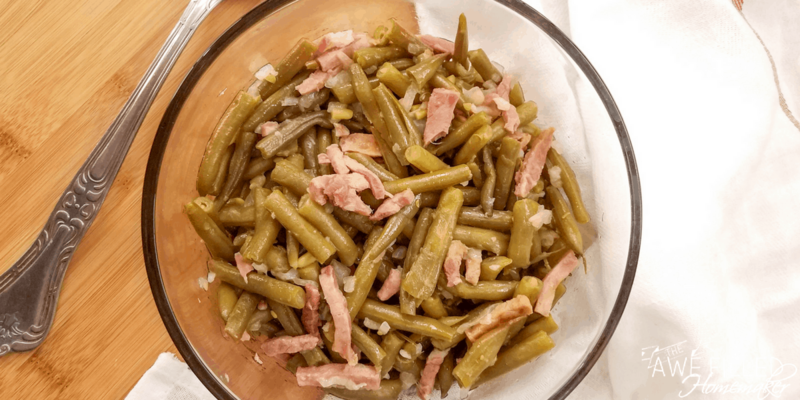 This recipe is pretty simple and so good! Definitely a recipe the whole family can enjoy. My kiddos love this recipe. It is the perfect comfort recipe and still allergy friendly. Enjoy!!! 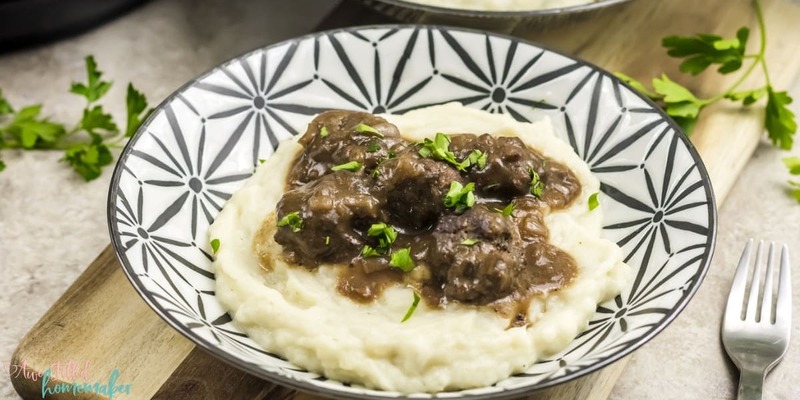 Hearty, beefy Salisbury steak meatballs smothered in brown gravy, served a bed of cauliflower mash or a side of creamy mashed potatoes. Are you drooling yet? 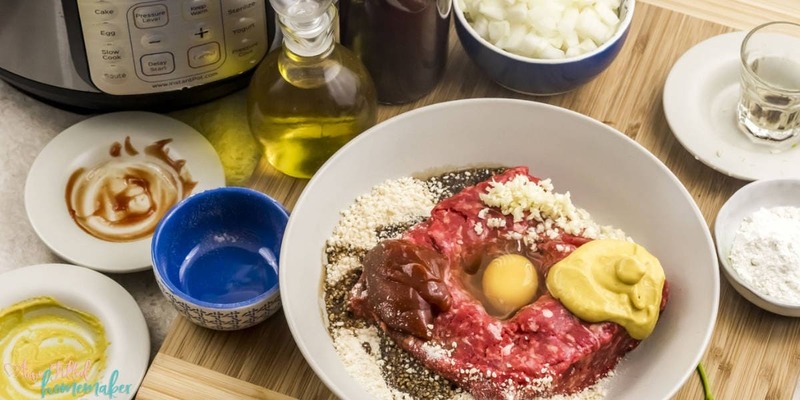 In a large bowl combine the ground beef, Worcestershire sauce, ketchup, mustard, garlic, breadcrumbs, salt and pepper and an egg. Mix it well. Using a cookie scoop, form equal sized meatballs. We got 24 meatballs. Chill the meatballs in the fridge for 30 minutes. Turn the Instant Pot on the “Sauté” mode, and add two tablespoons of oil. In batches of 6 to 8, lightly brown the meatballs on all sides. They need not be cooked through. Just a light sear. 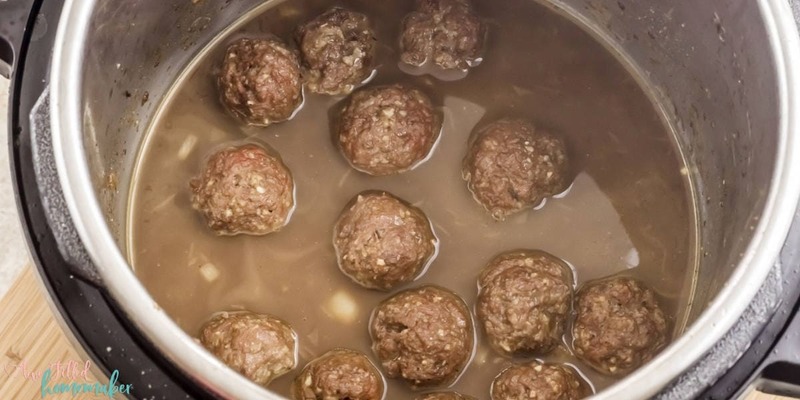 Remove the meatballs form the instant pot. There must be sufficient oil in the instant pot to cook the onions. In case there is less, add about a teaspoon of oil or butter to the instant pot. Add the onions and let it brown for a minute or two. Now add the Worcestershire sauce to deglaze the pan. 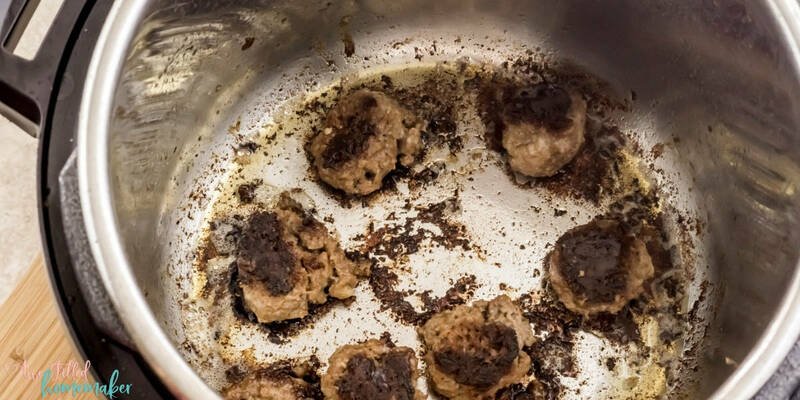 Scrape the browned bits of meatballs stuck in the instant pot. Add the flour and let it cook with the onions for a minute. Next add the beef broth and mix it well with a wire whisk. 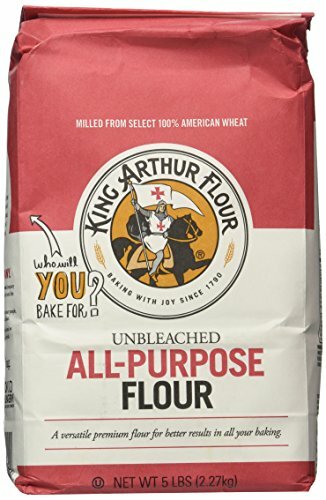 There should not be any lumps of flour. Add the browned meatballs in a single layer. Select the “Pressure Cook” mode and adjust the time, with the “- / +” to 10 minutes. 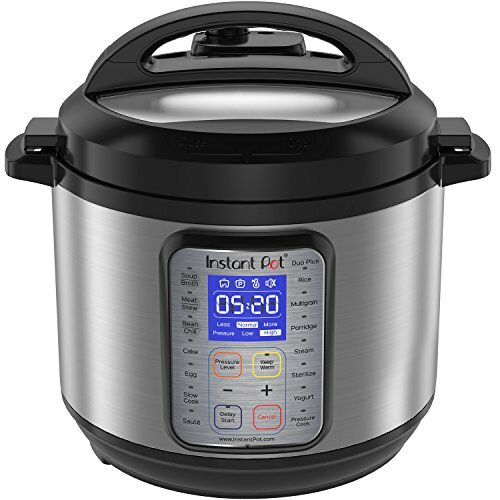 When Instant Pot beeps, let the pressure release the naturally for 10 minutes and then turn the pressure valve to the “Venting” position, to do a quick release. Open the lid. If the gravy is still very thin, turn back the Instant Pot on the “Sauté” mode, and let it simmer for 3 to 4 minutes, or till the gravy thickens a bit. 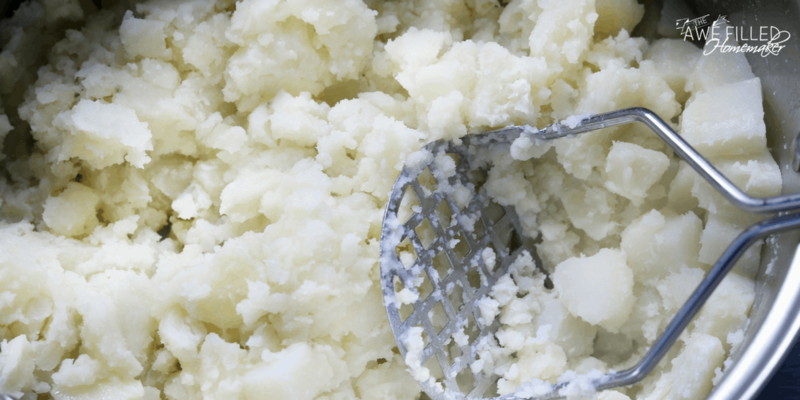 Serve hot with creamy mashed potatoes.